Lynzie and I are gone to England so my friends are running the show! 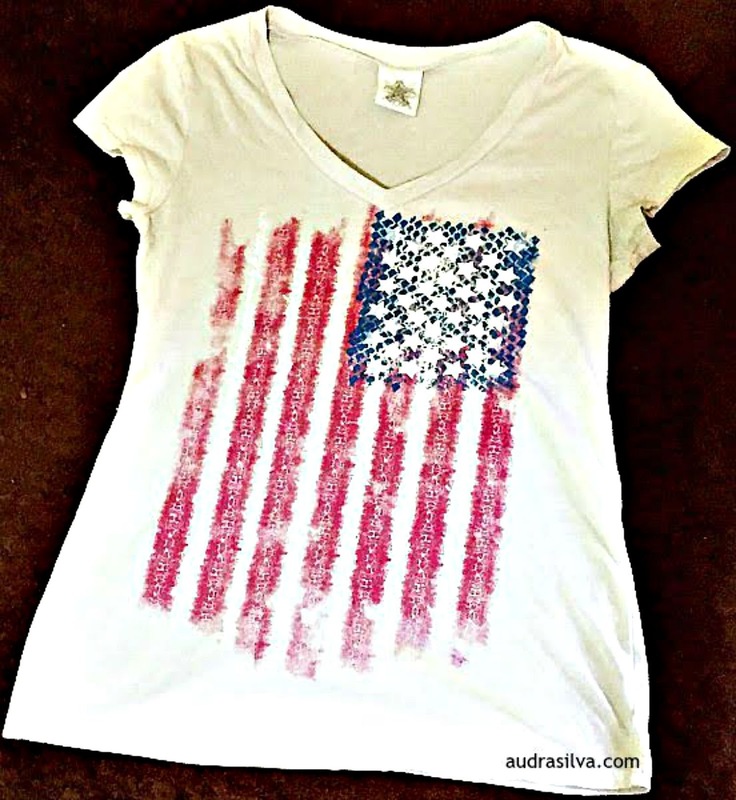 I'm so excited to welcome my friend Audra as a guest blogger today! Audra is the one who encouraged me to start blogging over six years ago. Thank you, friend! Check out her blog at audrasilva.com. The other day, I decided I wanted to make t-shirt tote bags. I don’t know what made this pop in my head, but off I headed to the thrift store to hunt for cute t-shirts. 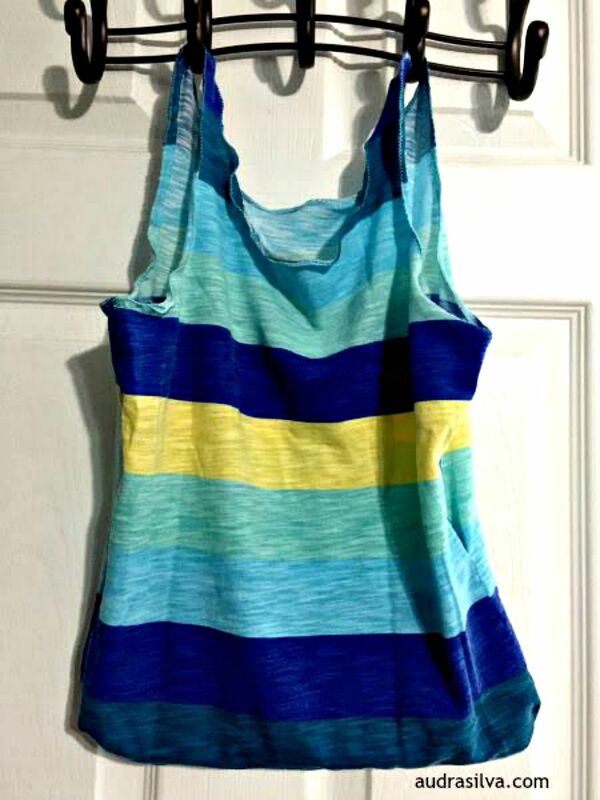 I found one I liked in the women’s section and two more in the girl’s section. Once home, I decided I’d really rather wear the cute women’s shirt. So it’s safe until I try it on and decide for sure if it will stay a shirt or convert to a bag. I know there are tutorials out there, but I decided to wing it. This is something I’m prone to do. I think it’s hardwired into my DNA. Step one: Choose your t-shirts. 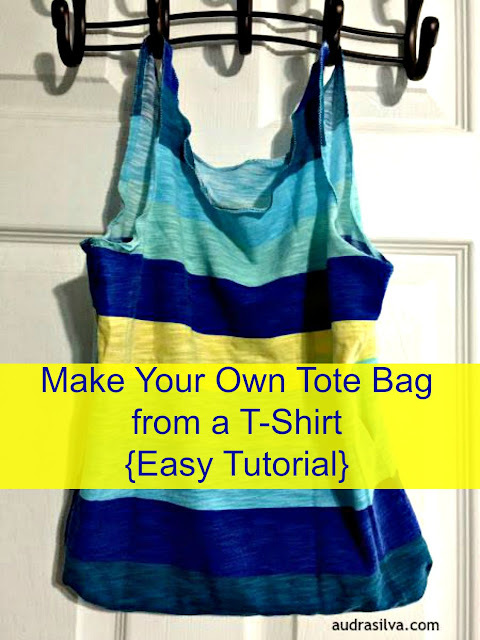 You will want to consider how big you want your tote to end up, as well as how strong or stretchy the fabric is and how that might affect what to use it for. I wanted something small to carry little crochet projects in, so I hunted in the girls department. Thrift stores, yard sales, or clearance sections are great places to look. Step two: Cut off the neck and arms real close to the seams. You might want to trim the lower sides of the shirt a little if they flare out too much. 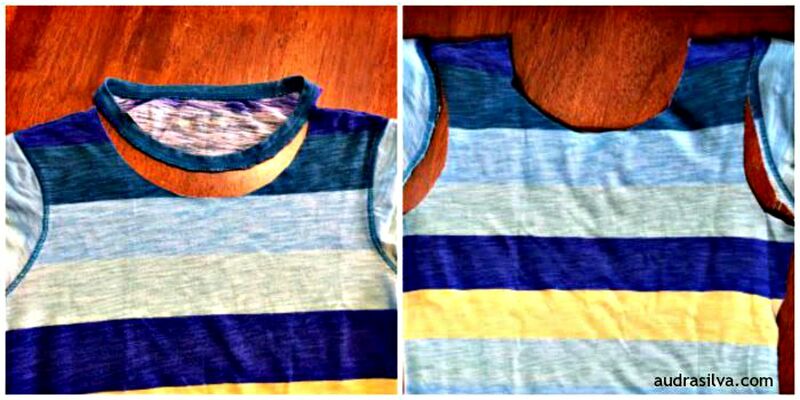 Step three: Flip t-shirt inside out and sew about a ¼ inch seam along the neck and arm holes, if desired. I did this on one tote but not the other. 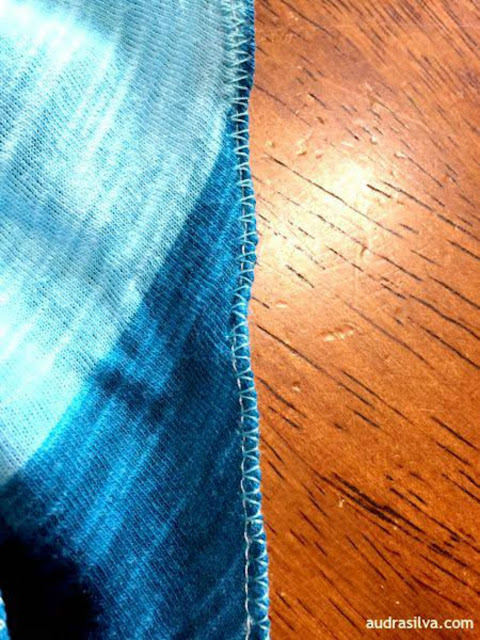 I’m curious if this step will reinforce the edges better or not. Step four: Flip t-shirt right side out and zigzag the edges around neck and arm holes while gently stretching the fabric. This creates a little waviness to the edges which I find adds some fun. 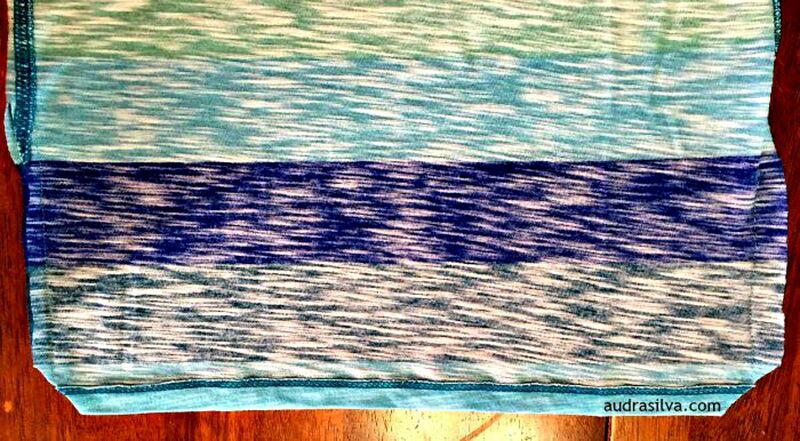 You could either have your thread blend in or have it stand out. Either way would be cute. Step five: Flip t-shirt inside out again and straight stitch a seam along the bottom (and sides if you trimmed them) to close your bag. I followed along the edge of the original hems. Step six: Flip right side out and voila! You have a new tote bag, waiting to be used. Tips: You could always use a plain t-shirt and then add on décor with iron-ons, appliques, rhinestones, or whatever you find to glam it up a bit. 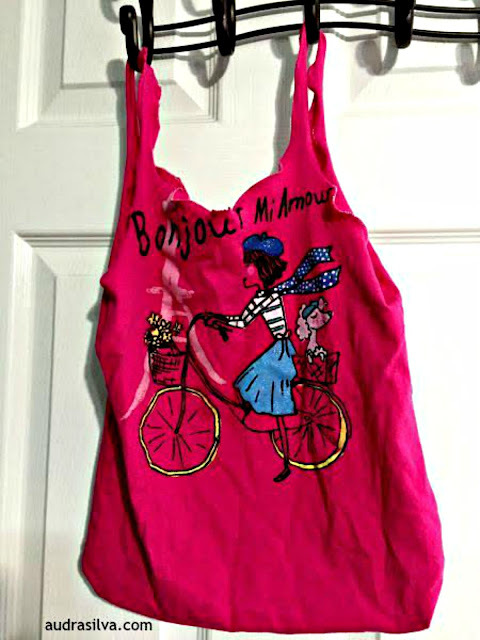 You can also add beads or something blingy to the handles, whether the t-shirt is plain or has a cute pattern. I’m not sure these would hold up to heavy loads without some reinforcement, but for this project, I wanted quick and simple, and will use them for light carries. You could also get fancy with how you sew the sides and bottom with some tucking and fancier techniques, but I’m a sewing amateur. These two totes took very little time to whip up. 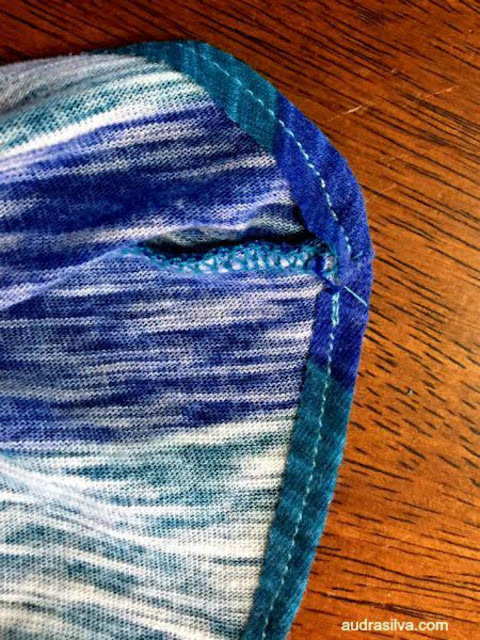 Seriously, give it a go---even if you are a sewing newbie like me. 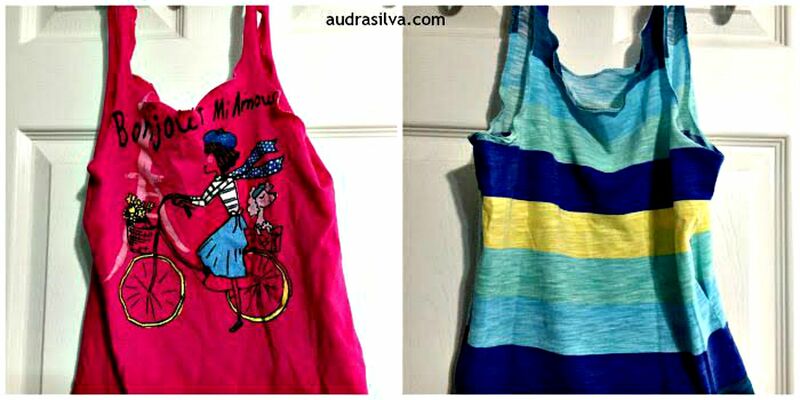 If you do give it a try, leave a comment over on Simply Audra Marie, so I can see your tote bag. Thanks for the fast and easy looking idea!